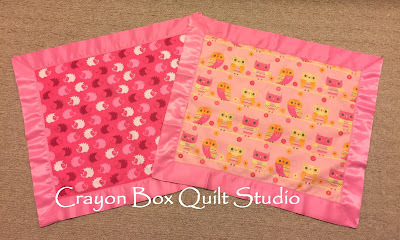 In my last post I showed you some pictures of the new lovie blanket I recently made for Jammer to replace his beloved but very worn out Peanuts gang ones from when he was a baby. 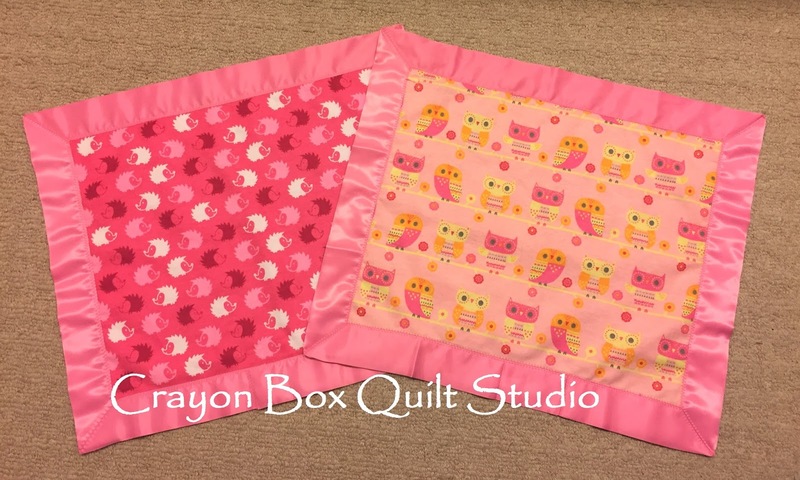 I'm sure that many of you want to know how I made it so that you can make some too for the littles in your life. This is really quick and easy and you will be whipping them up in multiples before you know it. So here goes. 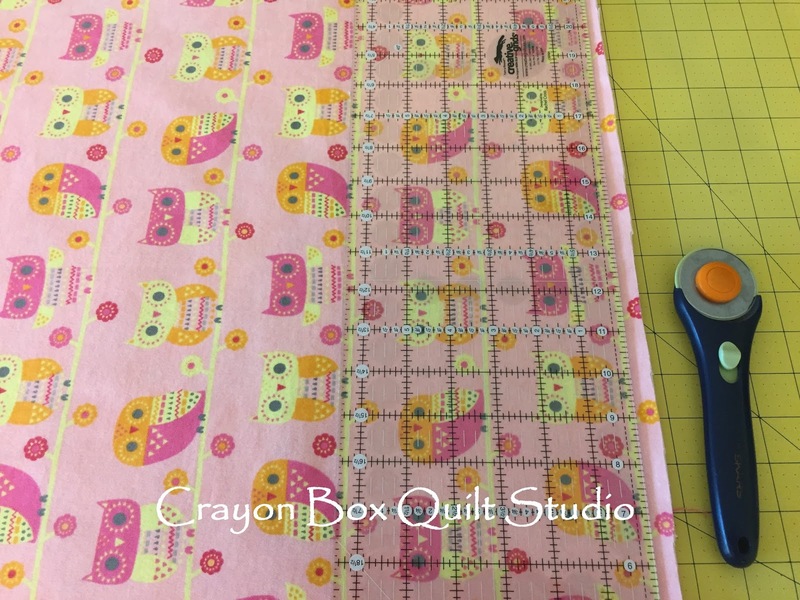 I started with 2 half yard cuts of no pill fleece fabric. This will result in 2 identical lovie blankets. 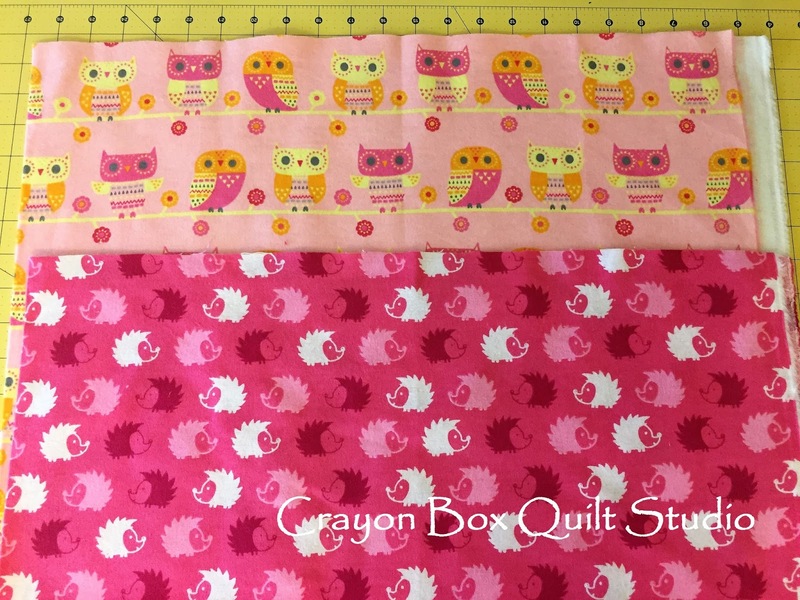 Sunshine wanted some new blankies too so we went to the local fabric store where she picked out this cute pink hedgehog print (she loves, loves, loves hedgehogs) and this adorable pink owl print. 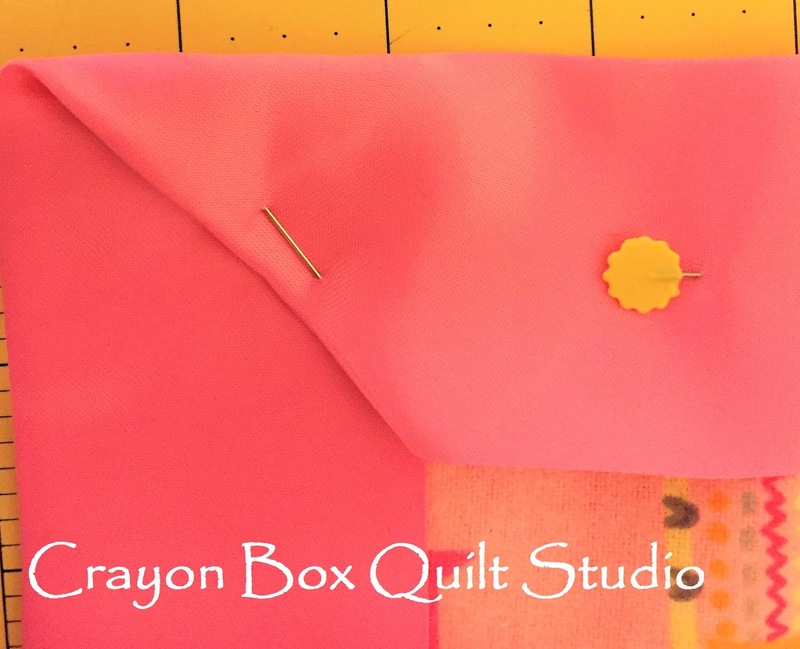 You will also need 1 package of coordinating satin blanket binding. Start by trimming off the selvage. Then stack the two fabric pieces together and trim all sides at the same time to create 4 rectangular pieces. By trimming them together they will be the same size. Exactly what size doesn't matter as long as they are the same. 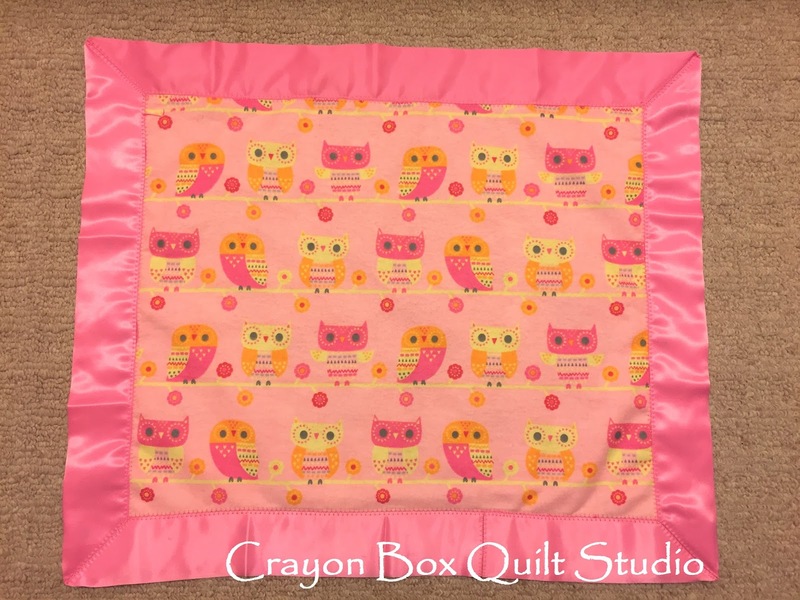 You can certainly end up with bigger or smaller blankies by using different size rectangular pieces. 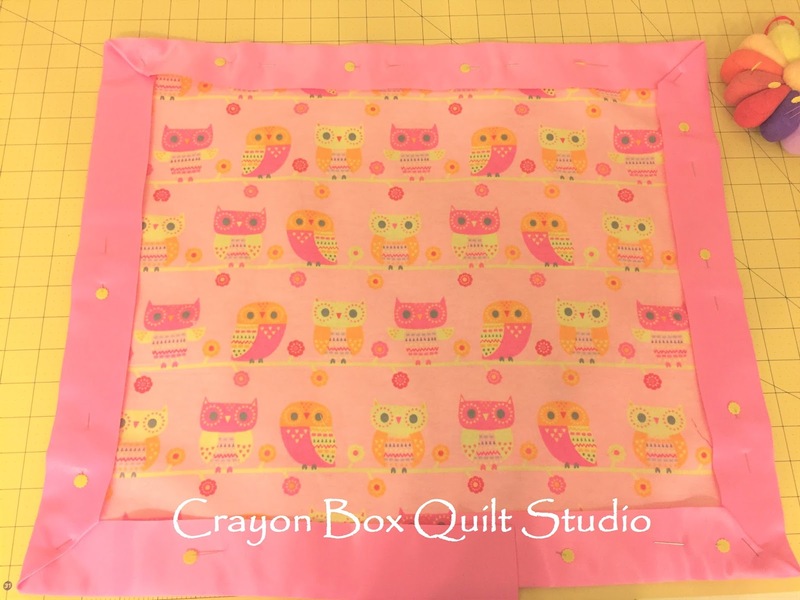 Pair up one fabric each for the top and the back and pin your satin blanket binding in place. Sorry the color is a bit off in this photo. I was making this in the evening. None of this is at all difficult and the hardest part (though it really isn't tough) is getting the corner miter seams pinned just right. 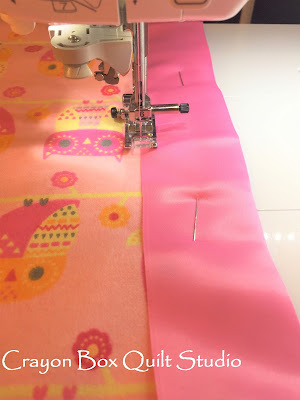 Take the whole project to your sewing machine and using whatever straight, zigzag or decorative stitch you like, stitch it down....work relatively slowly so you can make sure you are catching both sides of the blanket binding as you go. This is the stitch I chose to use for this blankie. 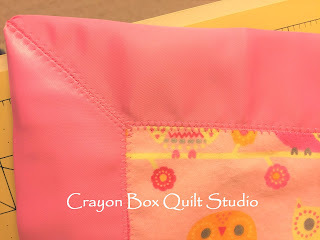 After I stitched around the entire blankie I went back and stitched the corners. 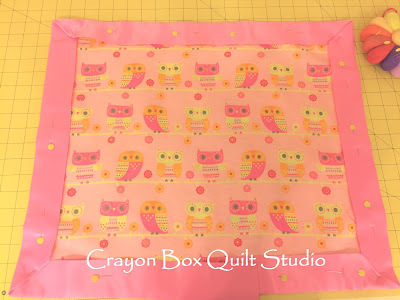 My kids prefer them this way instead of hand stitching them closed as I do with quilt bindings. Either method works just as well. And there you have it. 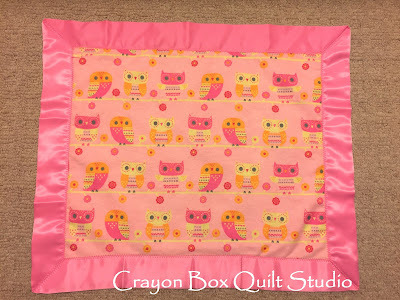 One new lovie blankie measuring 21" x 17". All that was needed to be done was to give it a quick wash to make it all soft and snuggly. 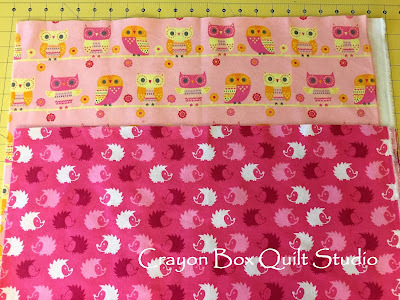 As I mentioned in the beginning, 2 half yard cuts of fabric will create 2 identical blankies and here is Sunshine's new matching pair. If your kiddo is the type to only cherish one lovie, then you might want to get more of the same fabric and make a few extras. This has become my favorite go-to new baby gift and every one that I've given has been greatly appreciated. I hope that you've enjoyed this little tutorial and will add this idea to your list of kiddo gifts to make for those littles in your life. What a sweet idea! 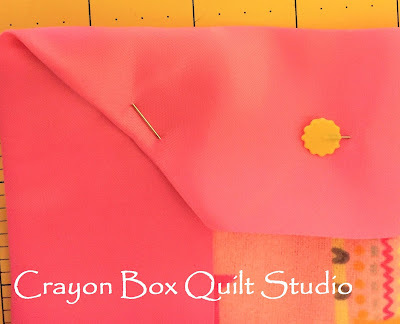 Have you ever tried making them with two layers of flannel rather than the fleece?